Recent tragic event in Boston, raised again the question about critical role of real time information integration. You may think, it is not something that related to engineering and manufacturing software. Until recent time, I’ve seen it exactly in the same way. However, with the latest trends in the developing of data and information systems, I can see how big data, data analytic and analyzes can be used by business enterprise software too. 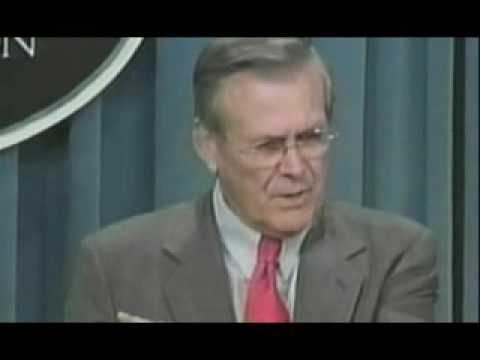 Getting back to events of 9/11, Donald Rumsfeld, US Secretary of State for Defence, stated at a briefing: ‘There are known knowns. There are things we know that we know. There are known unknowns. That is to say, there are things that we now know we don’t know. But there are also unknown unknowns. There are things we do not know we don’t know.’ Originally “unknown unknowns” statement was considered as a nonsense. However, if we think twice, the concept of unknown unknowns might be relevant to many companies in manufacturing. One of the key roles of PLM these days is to help companies to innovate. There are some many definitions of “innovation”. You can think about innovating organization, innovative processes. Here is the thing. Most of companies these days are afraid about how not to get “surprised” by innovation coming from unknown innovators, competitors and other factors – new economic condition, financial impacts, new product segments, cross domain innovation, etc. In my view, the key element of preventing “unknown unknowns” impact is to get better analyzes of the data in your company and outside. Companies owns a lot of data business data, stored in databases and mainframes behind the firewall. This is “known knowns” because in this area business decisions are generally made based on historical data. This is where PLM/PDM operates today. There are lots of data that mostly unstructured and resides in emails, blogs, internet, websites, etc. This is a place of “known unknowns”. Companies dealing with big data and some others are trying to solve today. The biggest danger is coming from unknown unknowns. We need a solution to fix it.